How do I change or edit time? 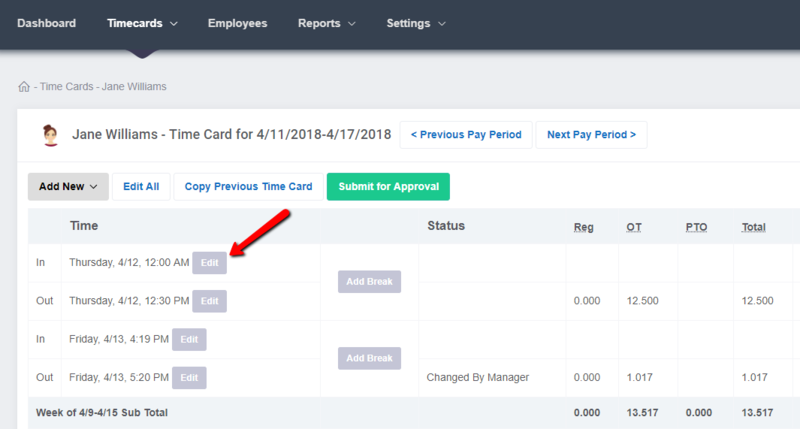 Visit the time card to made edits to individual times. If employees are allowed to, they can also request changes on their timecards. As an employee, click on "Edit." From here you can click on "Edit" next to a punch time. Note that your administrator has the ability to allow edits. If you don't see the option, then they've disabled it.